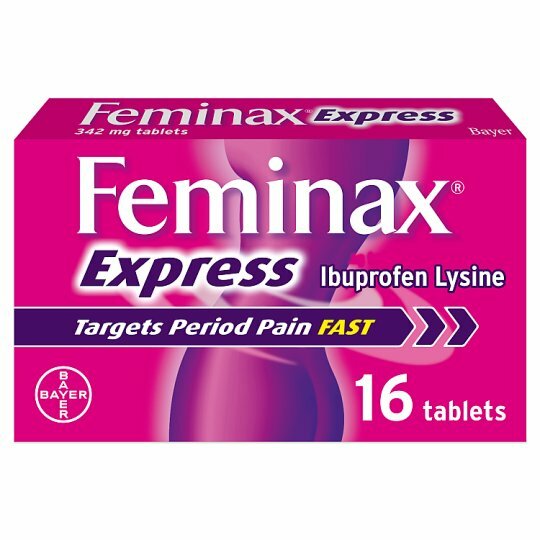 Feminax Express 342mg tablets provide fast relief from period pain and associated symptoms including: cramps, muscular pain, backache, headache. Also suitable for relief of rheumatic pain, nerve pain, migraine, dental pain, fever and symptoms of cold and flu. Dosage: For oral use. Swallow the tablets whole with water. Do not chew. Adults, the elderly and children over 12 years: Initially take 1 or 2 tablets with water, then if necessary take 1 or 2 tablets every 4 hours. Leave at least 4 hours between doses. Do not exceed 6 tablets in 24 hours.